A Positive Coat ← You Want Me To Wear What? Occasionally, I see something I like so much, I have to post it. This is one of those times. I would wear this coat so hard, my other jackets would get jealous. I might or might not make it the background of my computer, I love it so much. 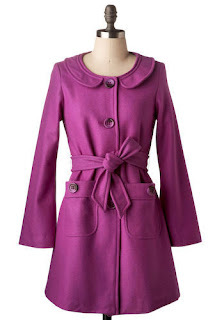 My only regret is that it’s a coat, and not a sleeveless minidress, because if I could remove the sleeves and make it in a cotton fabric, I would cuddle with it at night and carry it around like a security blanket. That’s how much I love this coat.